According to a new report North America Farm Management Software Market, published by KBV research, the North America Farm Management Software Market Size would witness market growth of 12.6% CAGR during the forecast period (2017-2023). The US market holds the largest market share in North America Cloud Based SaaS Farm Management Software Market by Country in 2016, and would continue to be a dominant market till 2023; growing at a CAGR of 14.3 % during the forecast period. The Canada market is expected to witness a CAGR of 22.8% during (2017-2023) in North America Cloud Based PaaS Farm Management Software Market. Additionally, The Mexico market is expected to witness a CAGR of 21.7% during (2017-2023). The System Integrators market holds the largest market share in North America Farm Management Software Market by Service Provider in 2016, and would continue to be a dominant market till 2023; growing at a CAGR of 11 % during the forecast period. The Managed Service Providers market is expected to witness a CAGR of 11.3% during (2017-2023). Additionally, The Assisted Professional Service Providers market is expected to witness highest CAGR of 14.3% during (2017-2023). The Precision Farming market holds the largest market share in Mexico Farm Management Software Market by Agriculture Type in 2016, and would continue to be a dominant market till 2023. The Fish Farming market would attain market value of $12.0 million by 2023. 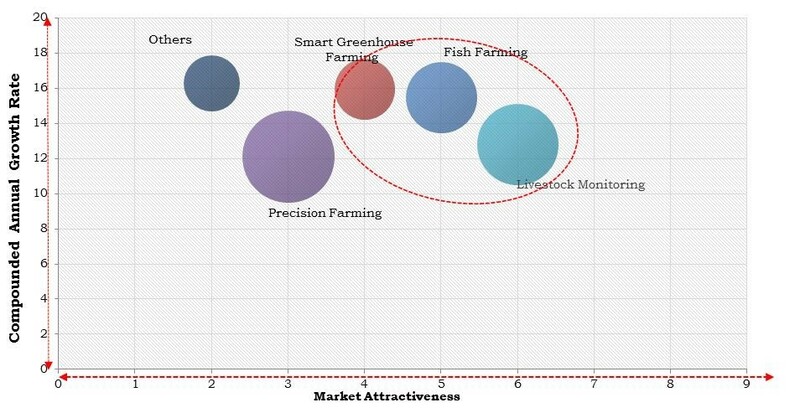 Additionally, The Smart Greenhouse Farming market is expected to witness a CAGR of 16.1% during (2017-2023). The market research report has exhaustive quantitative insights providing a clear picture of the market potential in various segments across the countries in the region. The key impacting factors of the North America Farm Management Software Market have been discussed in the report with the competition analysis and the elaborated company profiles of Deere & Company, Trimble, Inc., Agjunction, Inc., Raven Industries, Inc., Iteris, Inc., Topcon Corporation (Topcon Positioning Systems, Inc.), Monsanto (The Climate Corporation), SST Software, Gea Group AG, and Tetra Laval group (DeLaval).